[May 11, 2017] LOS ANGELES (Reuters) - Veteran singer Barry Manilow said coming out publicly about being gay was a "beautiful experience," as he was honored for his long-standing career in the music industry. 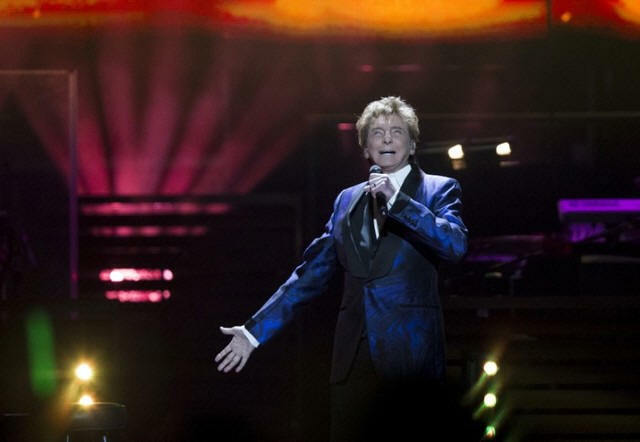 Manilow, 73, spoke about being gay for the first time last month, saying that he feared he would have disappointed his mostly female fan base had he come out decades ago. "I didn't know what was going to happen ... but I should have known better because my fans, and frankly the public, they care about my happiness and I have always known that," the singer told Reuters on Tuesday. He added that in the past month, he has received thousands of "beautiful and encouraging" notes from his fans. Manilow was speaking ahead of this week's BMI Awards, hosted by the music rights management group Broadcast Music, Inc, where he received the Icon Award, marking his decades of success in the U.S. music industry. His numerous hits over the years include romantic ballads like "Mandy" and "Looks Like We Made It." The event was attended by artists including Lisa Loeb, who praised Manilow for speaking openly about being gay. "I think that is such a great inspiration for so many people," she said. Manilow released a new album in April, "This Is My Town: Songs Of New York."